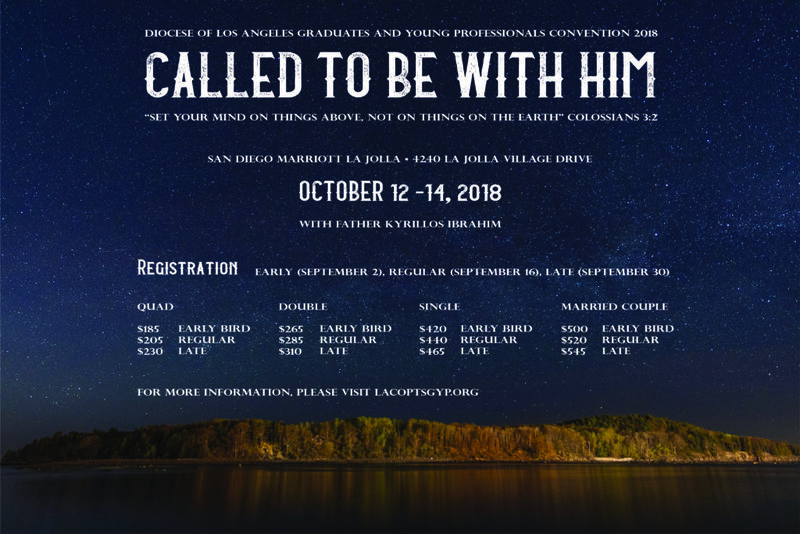 2018 GYP Convention: Register Today! Under the auspices of His Eminence Metropolitan Serapion, the Graduates and Young Professionals (GYP) committee invites you to the 14th Annual GYP Convention on October 12-14, 2018. This year we are blessed to have Fr. Kyrillos Ibrahim, the parish priest of St. Paul American Coptic Orthodox Church, lead us in a spiritual and introspection discussion as our speaker. We are looking forward to benefiting spiritually together and enjoying Christ in fellowship with one another. We are planning ahead for the 14th Annual 2018 GYP Convention. Save the date October 12-14, 2018.